Well I got the H4 relay installed this morning. Took a lot longer than it should. The basic thing that I needed to do was just remove the gas tank, then run the new line from the battery to the headlight assembly. Of course something unrelated to the relay install threw me off. After disconnecting the gas tank I had a slow but persistent drip coming from the primer nozzle on the fuel tank. I don't know why this thing was leaking as I just rebuilt the damn petcock in October. Well that led to me having to drain the tank so I didn't get gas all over the garage. That was the longest part of this whole process. Once I got the H4 relay installed it was just a matter of moving in reverse. The relay kit has the relays set inside the headlamp housing so I think later this summer i will replace the standard three pin connector with posilock connectors to get some more free space in there. My troubles didn't even there of course. After getting the bike fully assembled again it wouldn't start. It would turn, just not over so I knew I didn't jack up the battery connection. My guess is the engine was flooded or something or perhaps empty from sitting for the past couple of months. After about thirty minutes of messing with everything I finally got it to turn over and run. I let it run for quite a while just to flush itself out. Turned it off and it started back up again with no problems. Overall a decently smooth project. It has been a while since I have posted one of these reading lists and I thought it is time to post an update as to what I have been reading. 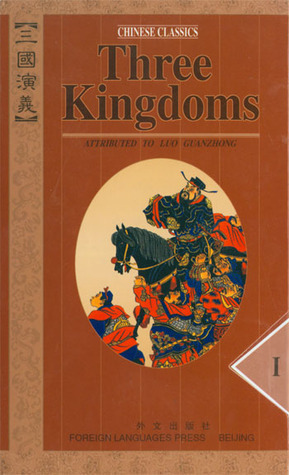 The biggest book on the docket for the past several months has been Three Kingdoms Romance (or Romance of the Three Kingdoms). This is an ancient chinese folklore tale that covers the time period during the fall of the Han dynasty and is considered to be one of the four great chinese classics. I have been laboring on its four volumes since September of 2011. Thank the heavens for the Kindle version as it made it much easier to read. It broadly lays out the conflicts of this time period and intersperses it with a bit of magic and demons for good measure. Overall it was a pretty good book for being over eight hundred yeas old. If you think Game of Thrones has a lot of characters, this thing had literally hundreds. Since that book took up so much of my time I have actually not read a ton of other books. I listened to the audiobooks of both Heat Wave and Mockingjay. Heat Wave was simply not a very good book and Mockingjay was a fitting end to the Hunger Games Trilogy. It is a pity that I just cannot stand the main character in those books. I also got a start on the Books of Skyrim (Download Link). This is a collection of all of the books found in the Skyrim video game. Someone on the internet kindly put them all into an ePub file. I have to say that they are pretty good actually and hey, they are free. For the months ahead I have several real paper books to get through. I just started Born to Run this past week and I also have sitting on my shelf Manovationals, Arabian Nights, and the Complete Hitchhikers Guide to the Galaxy (plus a dozen more books sitting on my Kindle).